We were impressed by the X100 when Fujifilm released the retro-looking camera, and we were intrigued when they rolled out the similarly styled X10. So we were bound to be interested when the firm announced their intention to release a new interchangeable-lens camera -- and now they have at CES, we can't wait to get our hands on it. 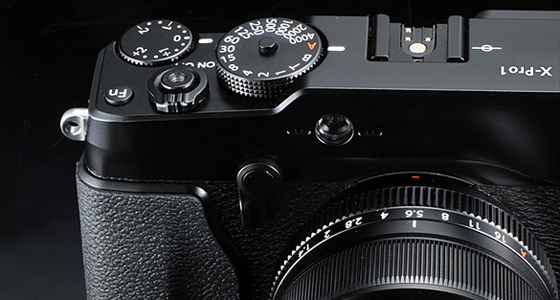 Fujifilm describe their X-Pro1 as a new category of camera which they're calling 'Premium Interchangeable-Lens Camera' thanks to the APS-C sensor and quality lenses. The X-Pro1 packs a newly-developed CMOS sensor that Fujifilm insist is far better than other APS-C sensors and has unrivalled low noise performance. "Fujifilm puts great emphasis on producing outstanding image quality, and with the X-Pro1, we are proud to offer an interchangeable lens system that performs to the highest professional caliber,” said Go Miyazaki of FUJIFILM North America Corporation. "Each element is the product of Fujifilm’s commitment to uncompromising quality. With its custom APS-C X-Trans CMOS sensorTM, unique Hybrid Multi Viewfinder and three interchangeable lenses, the X-Pro1 is poised to become the new standard for photographers."